Before reading a book, I often try to learn more about it by reading the back cover, the foreword or introduction, the table of contents, and even sometimes the author’s afterword or biography. 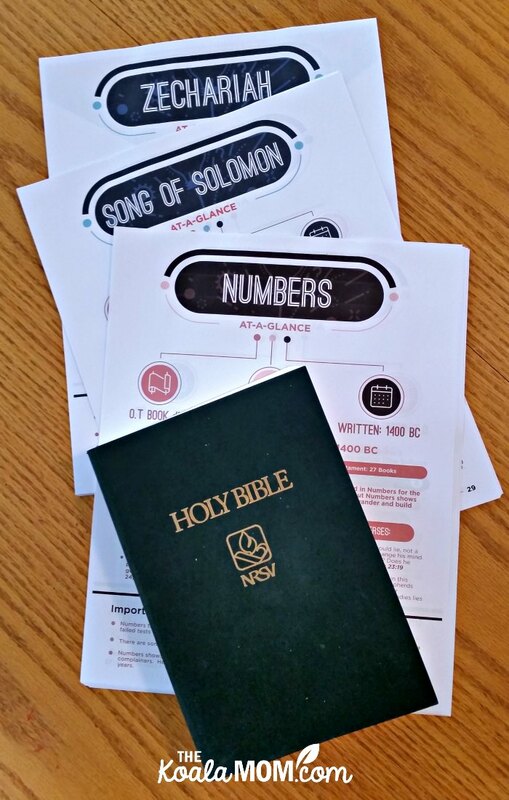 I was excited about reviewing the Book-By-Book Bible Printables from Teach Sunday School because these are like having that quick preview of each Biblical book. Whether you’re teaching Sunday School, homeschool, or just reading the Bible for personal devotions, these 66 printable Bible reference sheets are handy. I’ve been an avid reader of my Bible since my teens. Over the years, I’ve read through my Bible (cover to cover) a number of time. While some of the books of the Bible seem to explain themselves (like Genesis), others are a bit more confusing (where do all the prophets fit in)? It’s handy to have some outside information about each of these books, to put them into context while reading. Books of the Bible at-a-glance includes key information about each Bible book on one page. 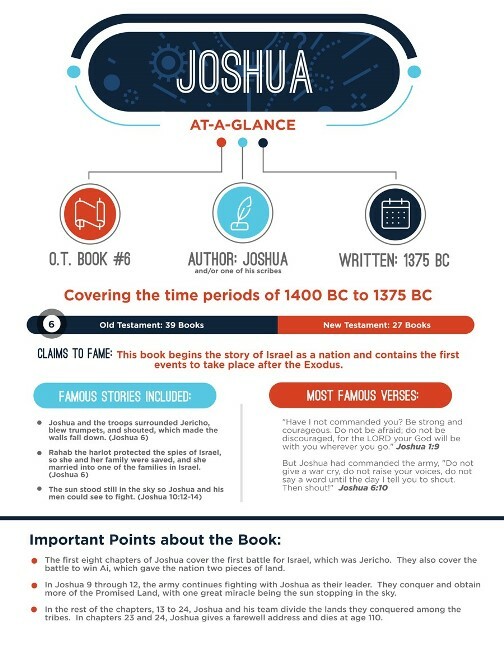 These printable Bible reference sheets list the author of the book and when it was written. The book’s key message is listed as its “claim to fame.” A bullet list gives the famous stories from that book. One or two famous verses from each book are also listed, such as Joshua 1:9: “Have I not commanded you? Be strong and courageous. Do not be afraid; do not be discouraged, for the LORD your God will be with you wherever you go.” Then the reference sheet gives a few important points about the book. This year, Sunshine (age 10) started reading through her Bible. My husband found a Catholic kids’ Bible for her for her birthday. 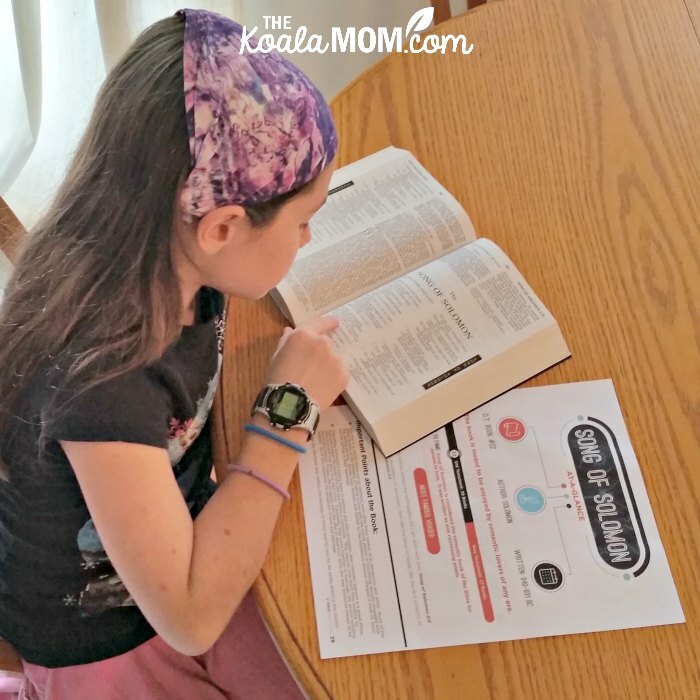 She was really excited to use these printables with her daily Scripture reading. 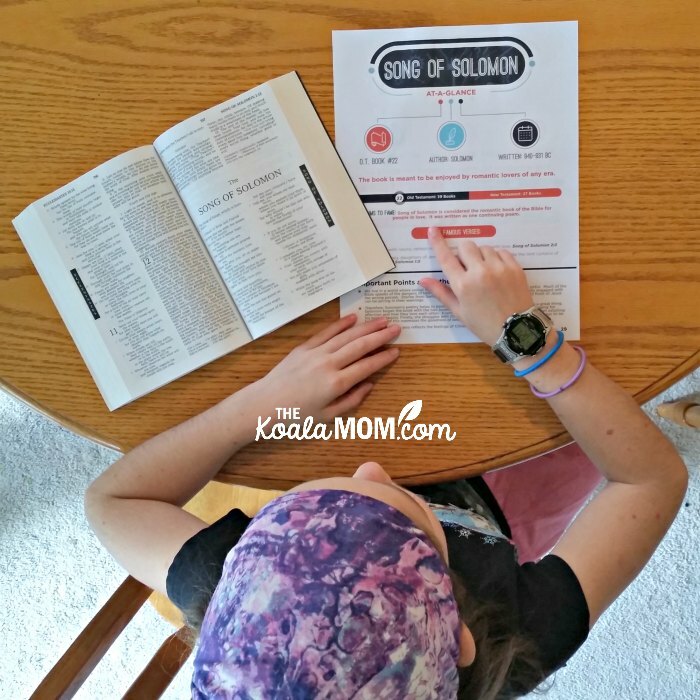 I love the fact that these printable Bible reference sheets are accessible for both kids and adults. 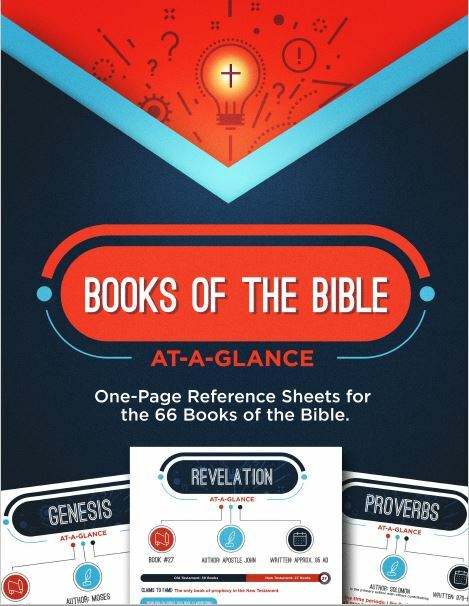 With funky graphics and blocks of text, each page really provides an “at-a-glance” overview of the Biblical book. While Sunshine and I have been using these printable Bible reference sheets to enrich our personal devotion time, I think they could also be useful in other ways. For example, when we return to studying ancient history next year, I’d like to use these with our timeline. The dates on each page help put the book of the Bible (and what it was written about) into context with what was going on in the rest of the world. It’s easy to forget that the events of the Bible happened in specific times and places, and show God’s work throughout history. 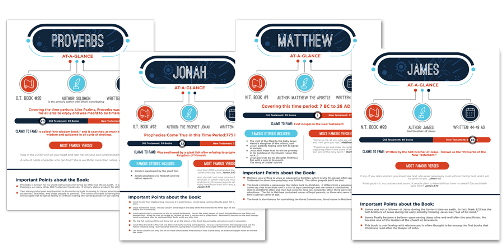 If you teach Sunday School or catechism classes, these printable Bible reference sheets could be used as posters in the classroom. Students can glance at them as you discuss each Book of the Bible. Or you could provide them to students each week as a handout. The Books of the Bible at-a-glance could be used for copywork or memorization in your homeschool. Students could memorize of copy one of the famous verses from each Book of the Bible. They’d have 66 Bible verses memorized and get a taste of each book. These printables could be used for Mass prep. Before Mass, you could look up the daily readings. Then you could look up each book that the readings come from. During Mass, you and your children will have some context for the readings. It would also help kids pay attention, as they’ll be listening for the name of the book they learned about. So far, I’ve left our Books of the Bible at-a-glance pages loose. I did print them double-sided to conserve paper, and I’m debating whether to coil-bind them or put them in a binder. I printed the whole set, but you could also print them as you need them. Books of the Bible at-a-glance also includes an introduction with more ideas about how to use the pages and why it’s important that kids know their Bibles. My only complaint about these printables is that they don’t include the Books of the Apocrypha. 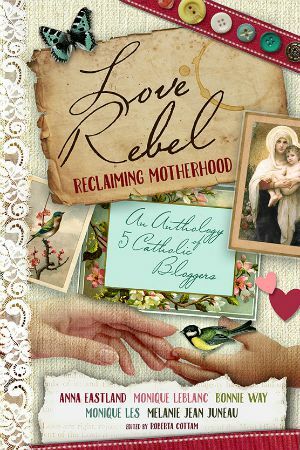 As a Catholic, I’d love to have the option to download a set of printables with Judith, Tobit, and the other books included (or to add these books to my set). 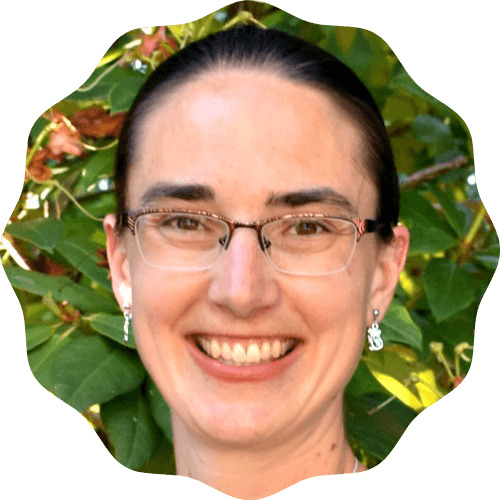 For more information about Teach Sunday School, drop by their website. Besides the Books of the Bible at-a-glance materials, they also have Bible lessons, crafts, and games to help you teach your kids about the faith. You can also find Teach Sunday School on Facebook, Pinterest, Instagram and YouTube.